I use the phrase “strong reactions” because it’s the most neutral one I could come up with. The films my students have recently been watching are, indeed, designed to elicit intense responses, not always of the kind to which most moviegoers have become accustomed. Most people go to films to enjoy the stories that films tell, but the avant-garde films I’m screening tell no stories whatsoever. These films deliberately use techniques of film style to challenge the very notion that films should tell stories; they also, in many cases, use style in purposefully obscure, obtuse, even incomprehensible ways. These films can be confounding, because, in some cases, viewers are not even sure what the hell they’re looking at, much less what it might mean. Few films are quite so obscure as Marcel Duchamp’s ever-confounding Anemic Cinema, which offers the viewer few, if any, points of entry into understanding. 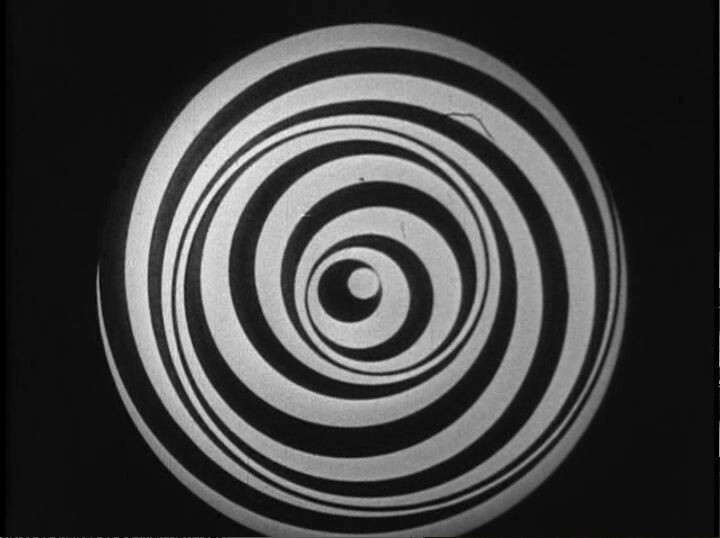 Duchamp intended to frustrate and baffle his viewers when he made the film in 1926, and it still has that power today. Just ask my students, many of whom found Anemic Cinema nearly unbearable despite its running time of about seven minutes. “Can we just call this one?” one of my students asked at about the four-minute mark, referring, I believe, to Anemic Cinema’s repetitive structure and impenetrability. I just chuckled and amused myself with my students’ expressions of utter bafflement. Avant-garde films are very useful for bumping complacent viewers out of their comfort zones.